Dropbox has acquired startup Zulip, a chat service aimed at the workplace that has yet to come out of beta. As reported by TechCrunch, the deal came to light via an email from the firm to its customers that was published to Pastebin on Monday. Neither Dropbox or Zulip have officially confirmed the news. The email states, "Here's the deal: Dropbox is acquiring Zulip. We're incredibly excited about working with an awesome group of people on a problem with huge scale, at a company that's as passionate as we are about helping people work together efficiently." It goes on to thank its customers for their support and provides a reassurance that business will continue as usual, at least for the time being. It also asks its customers to keep the news to themselves. "Again, please don't share this news," it reads. "We intend to announce this publicly in a few weeks, but wanted to give you folks a heads-up since you've supported us from the beginning." According to Techcrunch, Zulip was founded by team comprised largely of former Oracle emplyees, including Jeff Arnold (CEO), Waseem Daher, Jessica McKellar (VP of Engineering) and Tim Abbott (Chief Architect). It has reportedly received seed investment, although the amount of which is undisclosed. 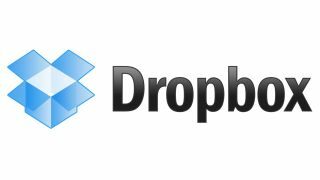 The purchase is likely part of a move by Dropbox to keep pace with other cloud storage providers. Despite having been an early entrant to the market, Dropbox does not have the financial clout of providers like Google and Microsoft. Microsoft's recent launch of OneDrive, followed by the reduction in Google Drive paid storage costs have ratcheted up competition within the market.